The 2nd European Summit on Digital Innovation for Active & Healthy Ageing organized by the European Commission, Brussels 5th -8th Dec 2016, set the European targets on digital innovation and policy principles on health and care in Europe and therefore influenced the direction of EU Investment on AHA. 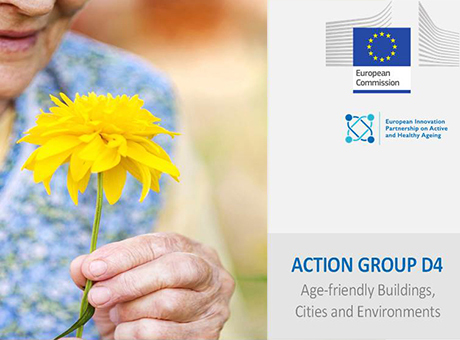 The Bartlett staff Dr Evangelia Chrysikou represented the Built Environment sector on behalf of the European Innovation on Healthy and Active Ageing (EIP on AHA) as coordinator of its General Domain Group “Age friendly design physical environments of the Innovation Collaboration Plan D4”. She stressed the importance of the Built Environment and Evidence Based Design for policy initiatives regarding people across the lifespan, enabling future EU initiatives and actions on the subject. The Bartlett leads an EU Commitment in Action Group D4 since September 2016, under the title ‘Inclusive Urban and Rural Communities’. Dr Evangelia Chrysikou leads that commitment on EIP on AHA and she is also among the co-ordinators for all commitments of the Innovation Collaboration Plan D4. An important outcome of the summit and in particular through the work of the D4 action group was the conclusion that technology alone is not enough and there is need for special consideration to be payed to the Built Environment.